Expedition typically refers to a long journey or voyage undertaken for a specific purpose, often exploratory, scientific, geographic, in high mountains. 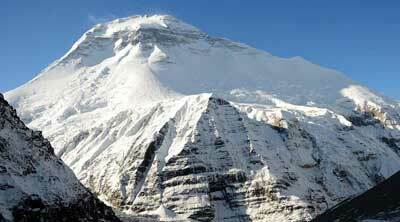 Expedition in Nepal submits to climb high Himalayas as Mt. 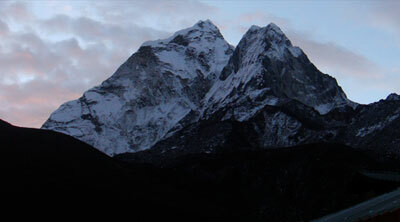 Everest, Ama Dablam, Mt Pumori, Mt Lhotse, Mt Nhutse, Mt Makalu, Mt Manaslu, Mt Annapurna, Mt Dhaulagiri and many others. 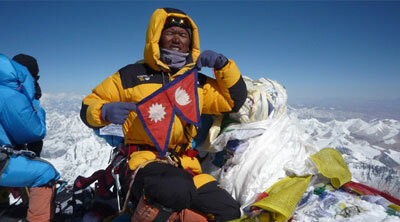 Nepal is considered one of the best adventure destinations in the world. 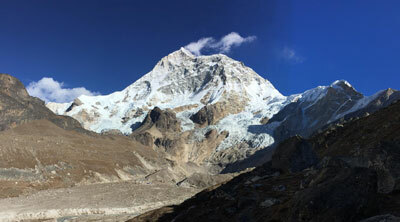 Nepal's geography packs an extremely varied landscape into a small area. The immense contrasts in altitude and climates found here support a spectacular mix of lifestyles, vegetation and wildlife. 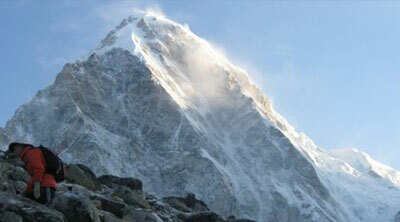 Nepal is probably the only country in the world where you can climb the highest mountains in the world. 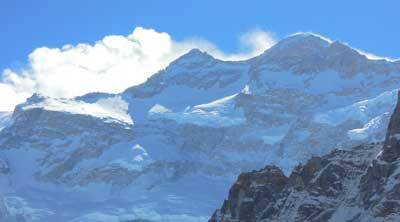 The core of the mountain complex known as the Himalayas ‘ abode of snow’ is the youngest and highest mountain system of the world. 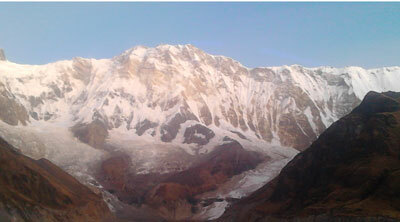 The name is based on the Sanskrit words, “Him” means snow and “Alaya” means abode. 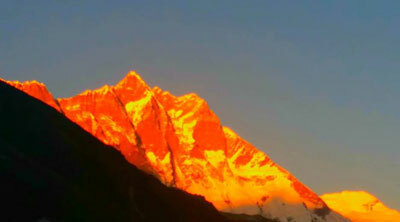 The 800 km stretch of the Nepal Himalayas in the greatest in the world with eight peaks that rise above 8,000 meters, including the highest in the world, "Mt. 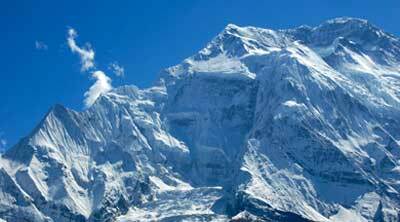 Everest". Ever since the country opened its peaks to climbers in 1949, the Nepal Himalayas has become a great theater of mountaineering activity and the drama of success and failure have provided impetus to thousands of men and women to meet the ultimate challenge. In Nepal, there has been 263 Himalayan peaks are opened ranging from peaks above 6,000 meters to the Mount Everest 8848 meters for foreigners. 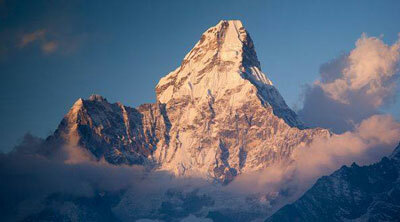 Nepal's Himalayas have been an attraction to many climbing devotees, philosophers, adventures or researcher lovers. 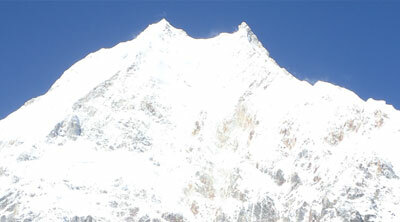 All mountaineering expeditions intending to climb an eight-thousand or any other mountain have to obtain permission from the Ministry of Culture, Tourism and Civil Aviation. 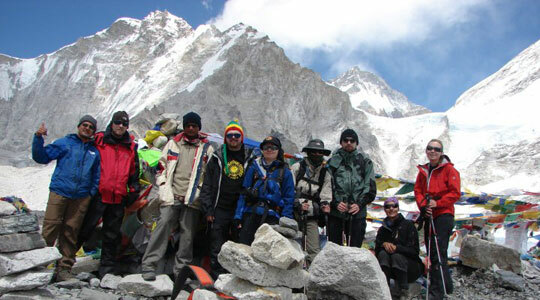 Once a permit has been obtained, the expedition has to strictly follow the route and the regulation as prescribed in the permit issued by the Government of Nepal. 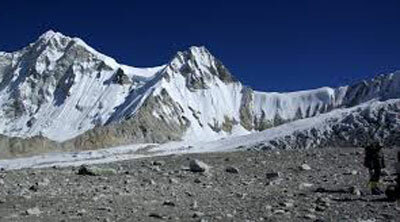 A mountaineering expedition team which has obtained a permit for mountaineering shall have to include a Liaison Officer appointed by the Government of Nepal. An expedition team has to deposit garbage fee before obtaining a permit. The amount varies according to mountains ranging from US$ 500 to US$ 4,000, which is refundable after the expedition team shows the clear evidence of the garbage accumulated. In the expedition phase, we will use smaller, lightweight domed mountain tents. It is possible to be very comfortable in these if you are organized and keep your kit in order. We eat in the mess tent at a plastic table with stools or chairs to sit on. Our staffs are masters at cooking large volumes of tasty food in even the most basic of environments. However, we may ask you to help with the processes of preparing and clearing up the meals on the camp. Again, this can be a fantastic opportunity to gain firsthand experience of another essential part of any culture. You will also learn skills and principles that are transferable to cooking any food any anywhere anytime. Food safety is always a big concern and we take it very seriously. Participation in Asian Hiking Team expeditions requires that you are generally in good health, mental and physical fitness. 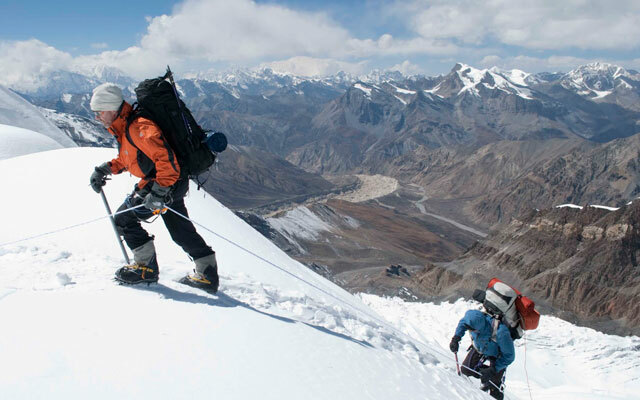 Peak climbing or expedition have required extensive mountaineering experience, such as mountaineering training of basic and advanced course, high and extreme trekking experiences, responsible for self control and safety. Documents we need for climbing or expedition permit,; Passport photocopy (should be very clear with color scan) and validity minimum 6 months, 4 photos – passport size, Occupation details, details home address and insurance copy, bio-date etc. We always keep in touch. The Asian Hiking Team is organizing 263 mountains expedition, providing necessary preparations for our valued clients, especially those who are interested to do more adventurous and take challenging in the mountains. Our organization runs by professional, experience, qualified and well-trained expert climbing guides/leaders, highland Sherpas and provide quality service for trips to make your expedition comfortable, easier, memorable and successful once in your lifetime. You should just prepare, technically, mentally, physically for the adventurous.